If your next holidays are feeling a bit far off, don’t fret – there’s an awful lot of adventures at home to keep you occupied. You’ll find castles and climbing, delicacies and dinosaurs, wine and wildlife and much more on our fun fall agenda. The three glass domes of the botanical garden's palm houses might make you worry about an alien invasion. But despite their exotic and often stunning appearance, all the plants inside the spheres appear to be earthlings. 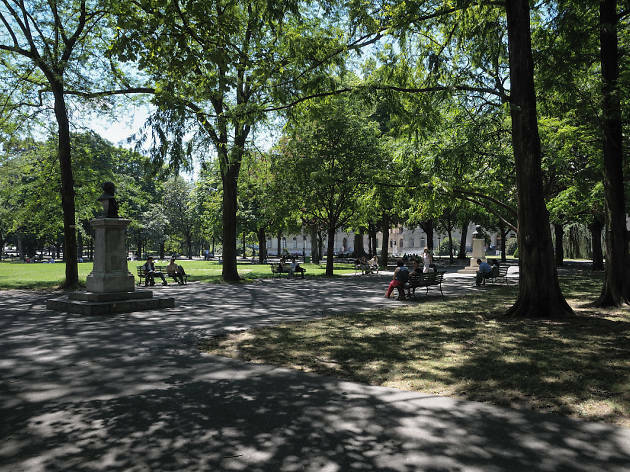 Take an early morning stroll across the vast grounds or just sit and relax for a while on a sunny afternoon. The botanical garden is rarely crowded and can deliver instant peace and happiness when you stumble upon a pretty flower or watch the branches of the old trees swing with the wind. 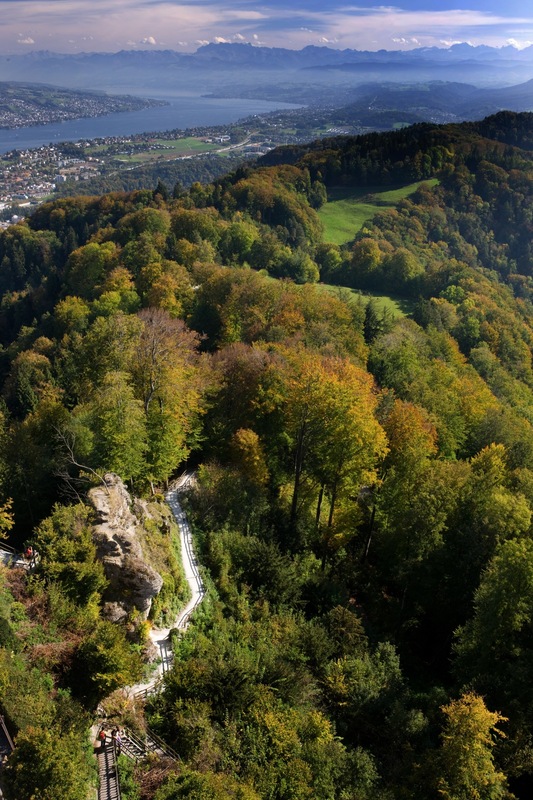 The Richterswil Horn is a popular local park, no doubt due to its stunning location on the shores of Lake Zurich. Offering access to a range of water sports as well as beach volleyball and lake swimming in the summer months, the Horn hosts annual events including Chibli (funfairs), the Beach Party dance music festival and Cine au Lac outdoor cinema. The park also has an excellent children's playground. 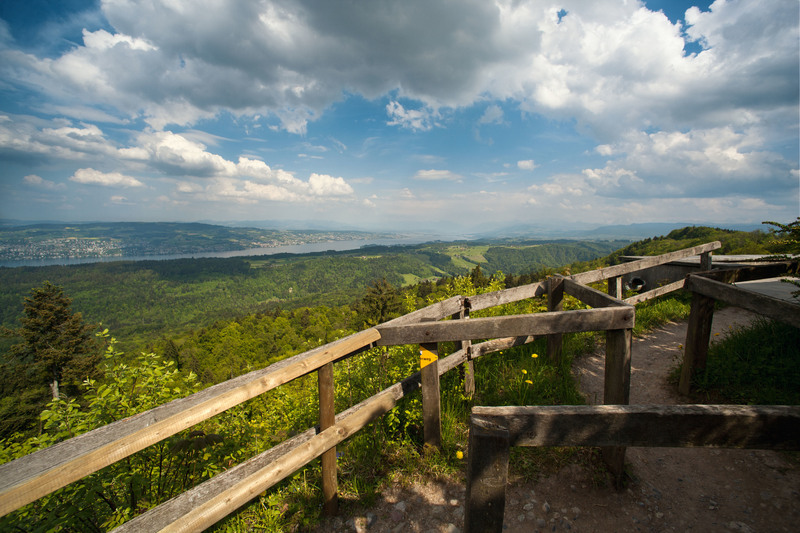 An observation tower at the top of Uetliberg offers panoramic views, and The Planet Trail ridge walk takes you all the way to the Felsenegg, from where you can take the cable car down to Adliswil. 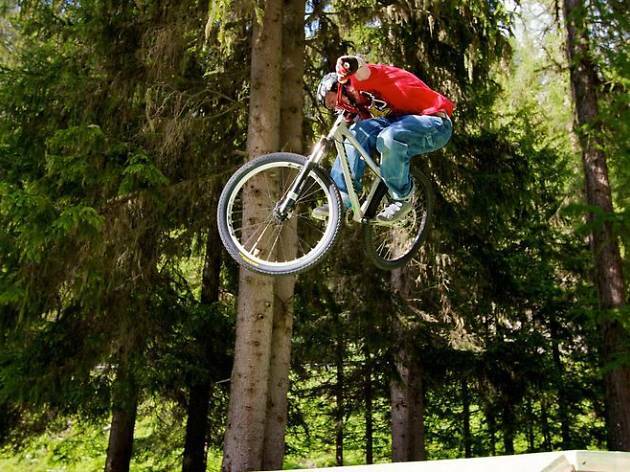 If you prefer to head straight back to town there are various hiking trails downhill, but beware of the mountain bikers! 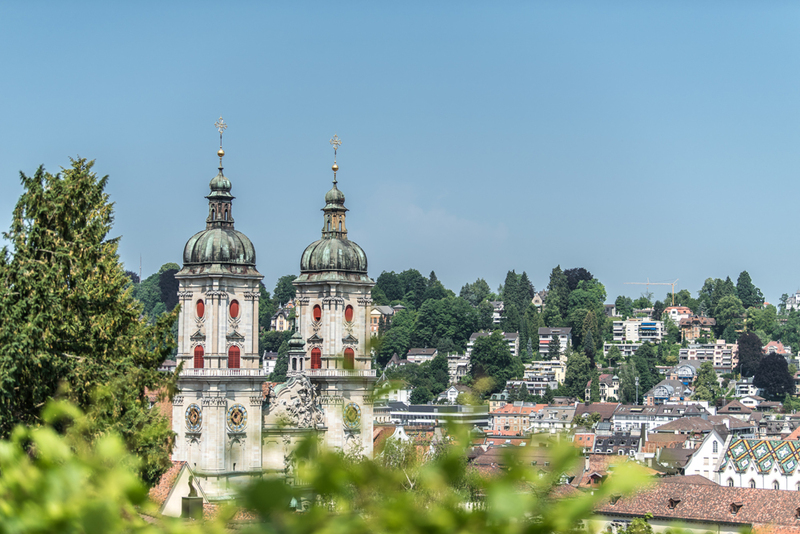 On a lucky winter’s day you might even be able to sledge down – an exceptional experience both in itself and also because Zurich does not usually get a lot of snow. 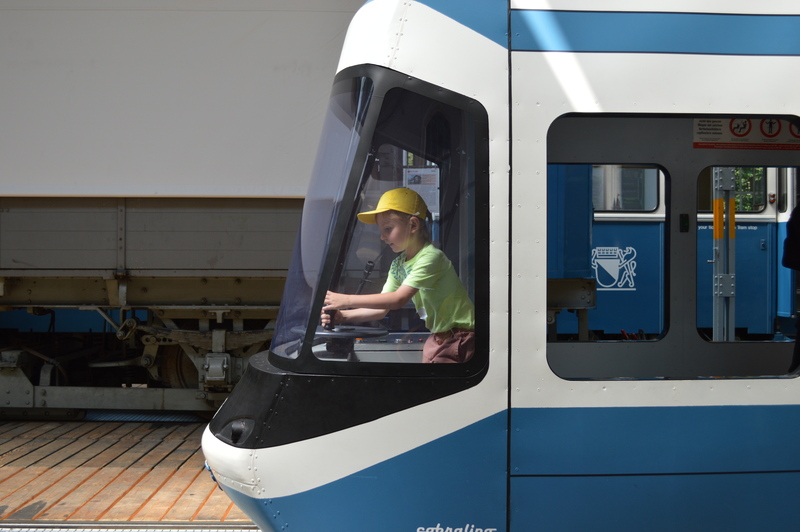 You can learn more about the history of Zurich’s trams in its own tram museum. Original carriages from 1897 onwards are on display as well as models. 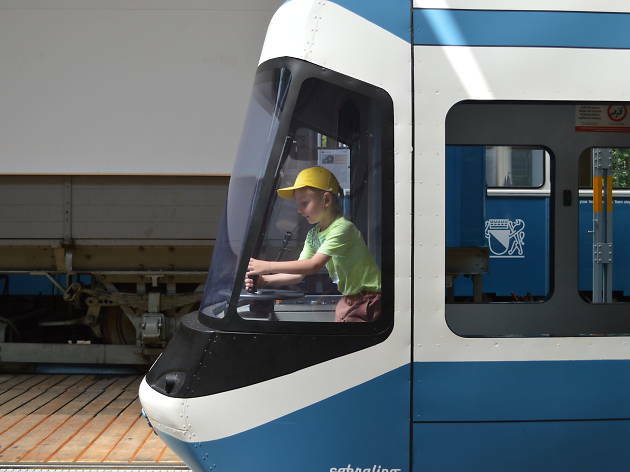 A special museum tram runs to the venue every last weekend of the month (check the website for timetable), and there are special family Sundays with handicraft activities. 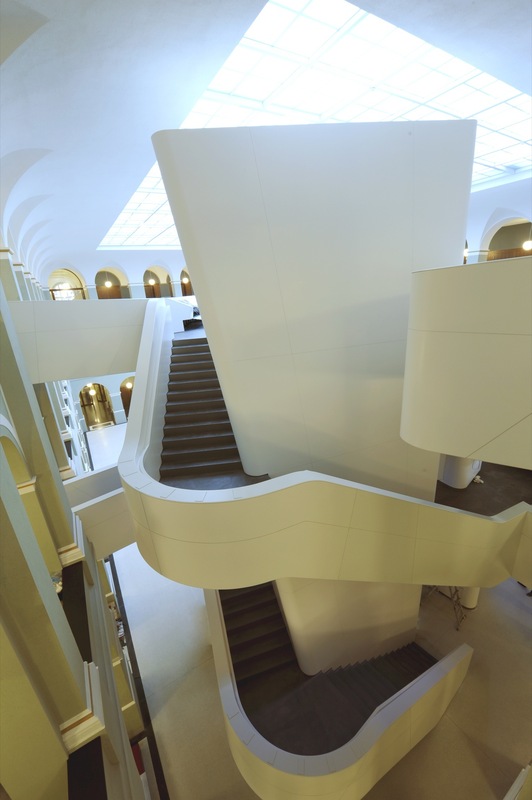 Run by the ETH's university's geology department, this museum focuses on our planet and its wonders. From rocks and minerals to volcanism and plate tectonics there is a lot to learn. 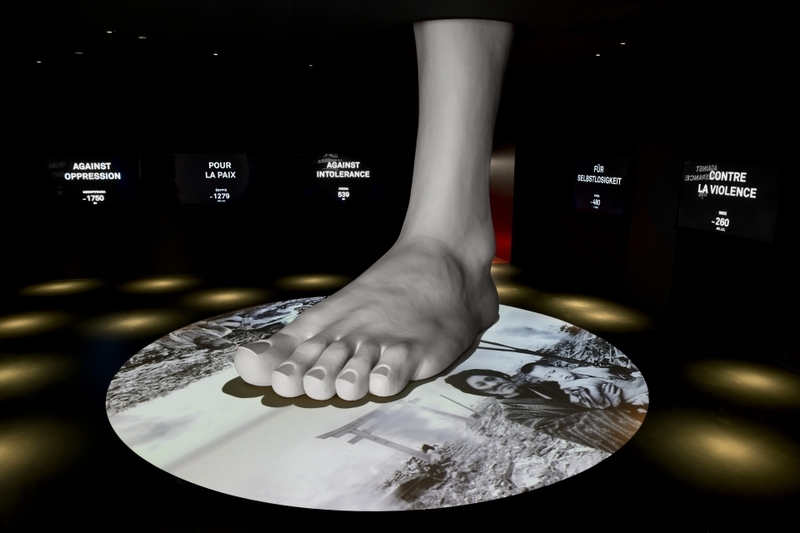 If you participate in a guided tour you will even be allowed inside the spectacular earthquake simulator! 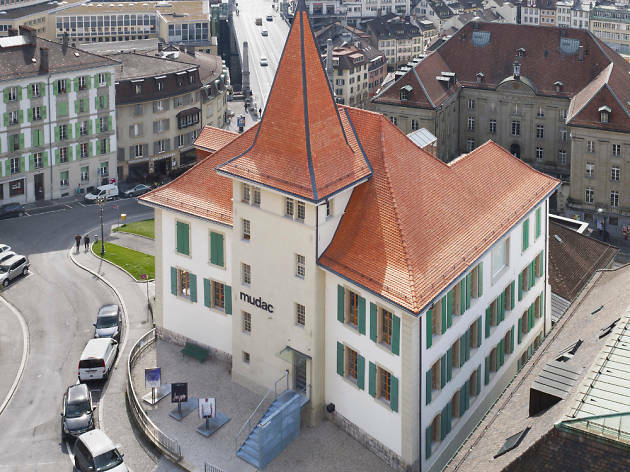 The museum organises special tours and events for children's birthday parties and other pastimes for children throughout the year. 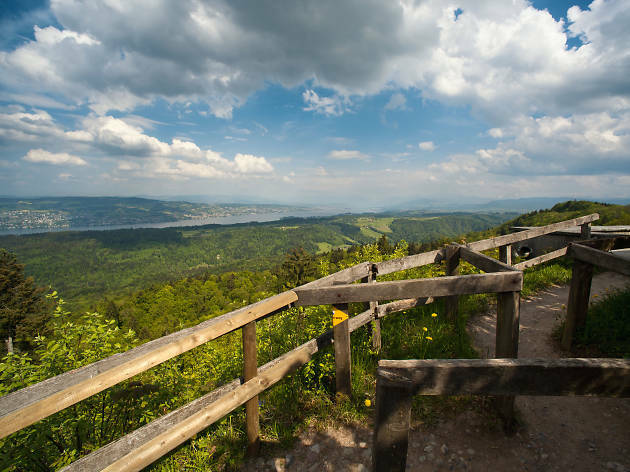 This park less than half an hour away from the city of Zurich consists of two parts: the Sihlwald forest and Langenberg, Switzerland’s oldest wildlife park. Most of it is accessible at all times. 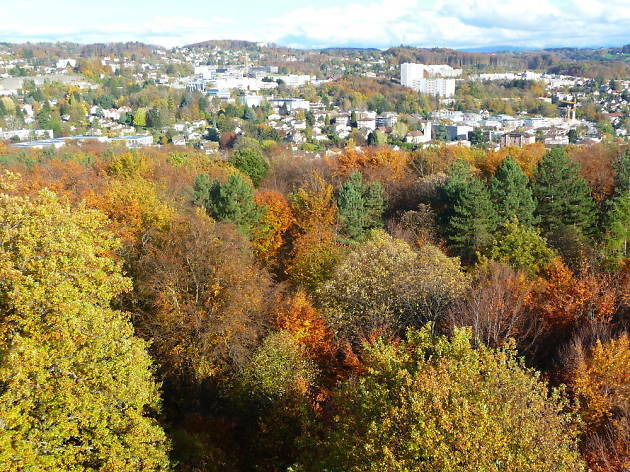 There is an educational forest trail, and in Langenberg visitors can watch 16 native or formerly native animals such as bears, bison and hares. 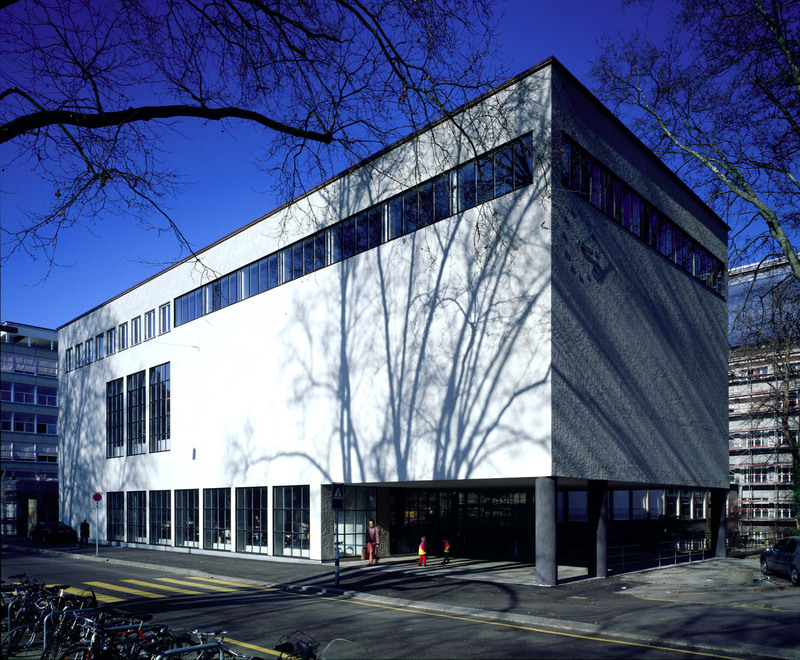 Posters, design, applied arts and graphics are the four pillars of the massive collection at the Museum für Gestaltung, Zurich’s museum of design. Dating as far back as 1875, exhibits chart the technical and aesthetic milestones of industrialisation’s evolution through crafts, furniture, prints, fashion, photographs, film, fine art pieces and everyday commercial products and packaging. 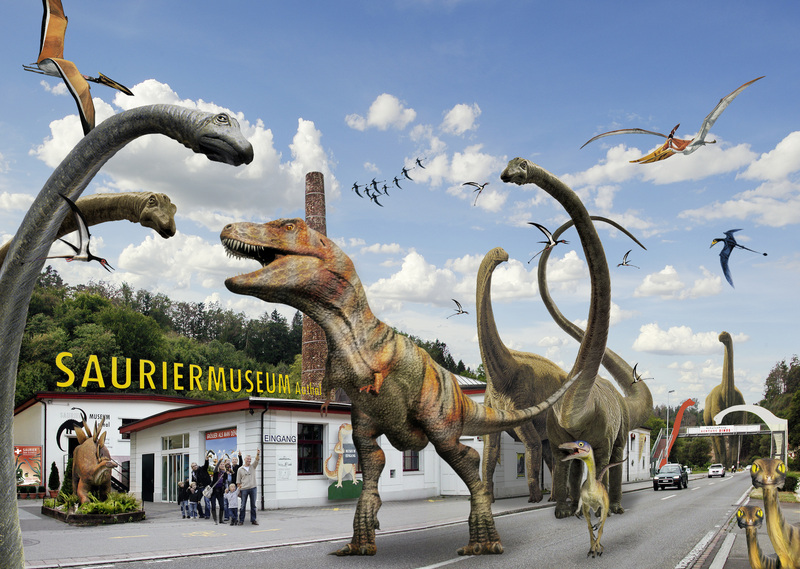 Aathal's Dinosaur Museum (Saurier Museum) is the largest museum of its kind in Switzerland. 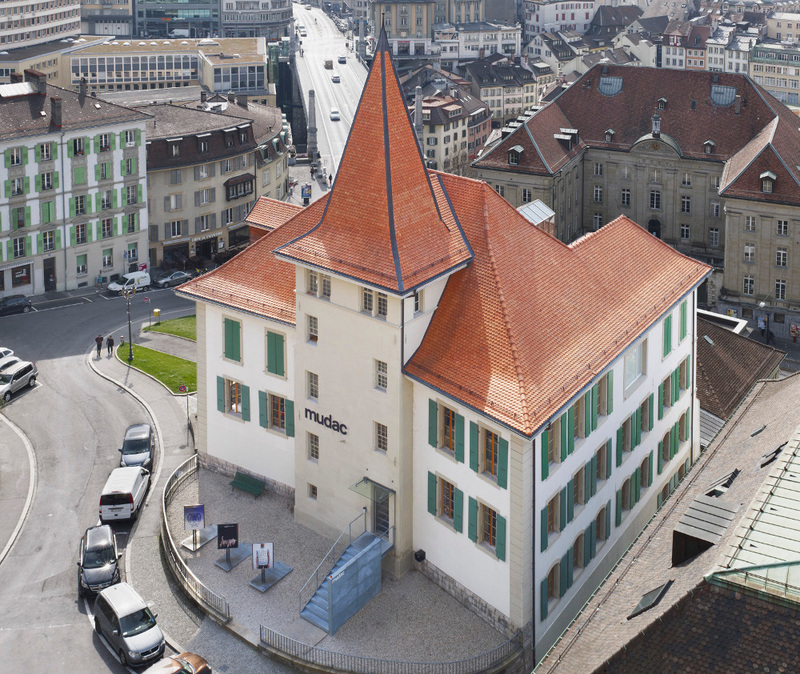 Owned and funded by a Swiss palaeontologist, the museum features fossils and skeletons from its own excavations across the globe, as well as loads of other models and displays. It's not cheap to visit but you do get plenty of dino for your CHFs here - from life-size models of all your favourites - brontosaurus, stegosaurus, triceratops, velociraptor etc. to the requisite T-Rex skull, as well as dinosaur eggs and various paraphernalia. 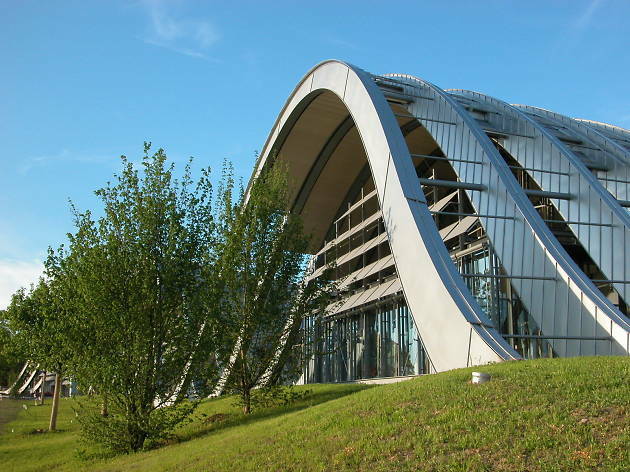 The museum is divided into different sections showing land, sky and sea-dwelling beasts and there's plenty of educational material too (mostly in German) about excavation methods, how to spot a fossil, how the dinosaurs lived and why they died out, including a section on Dinosaurs in Switzerland. The museum may be a bit scary for toddlers but is well worth a visit for kids from around 4-years and up. 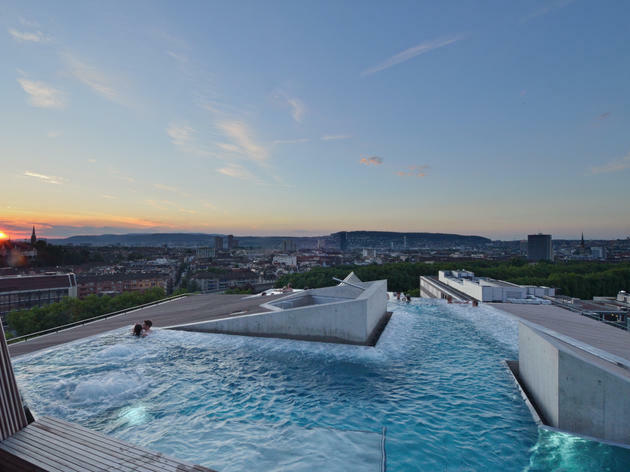 The view over the city from its rooftop pool is simply amazing, and that alone would almost be worth the entrance. 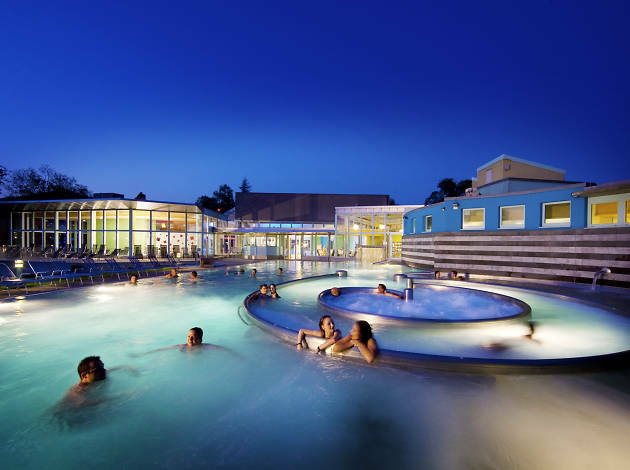 But on top of that, you can also relax in the huge wooden tubs of the old brewery in the basement and - for an additional fee - enjoy the Irish-Roman spa with its steam baths and shallow pools. If you want to go on a Sunday, get there early, as there will be a queue before lunchtime. The natural reserve around the Katzensee is just minutes outside the city and an all year round hotspot for bird- and nature-watching. 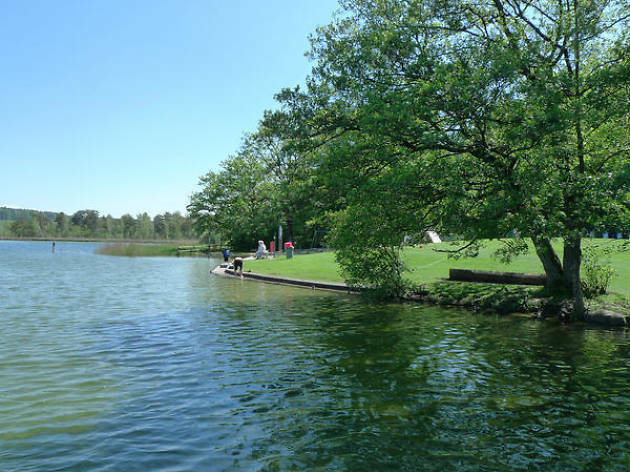 Take the family on a walk around the lake - it won't take much more than an hour. 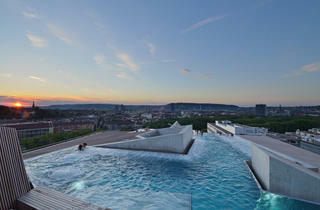 During the warmer months, bring your swimsuits and have a dip at the Badi. There is also a designated area for barbecues. 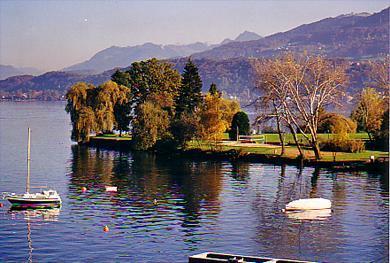 For those who prefer a Sunday afternoon on wheels, the circular route around the lake has a separate track for cyclists. 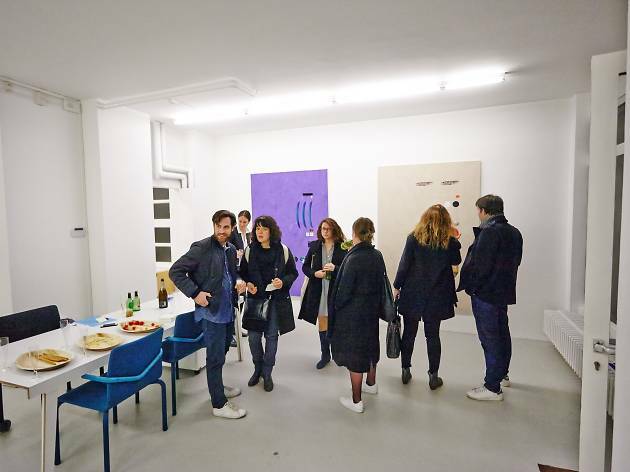 The Quartier des Bains is to Geneva what Chelsea is to New York and Löwenbräu is to Zurich, a hip art district in a former semi-industrial zone. 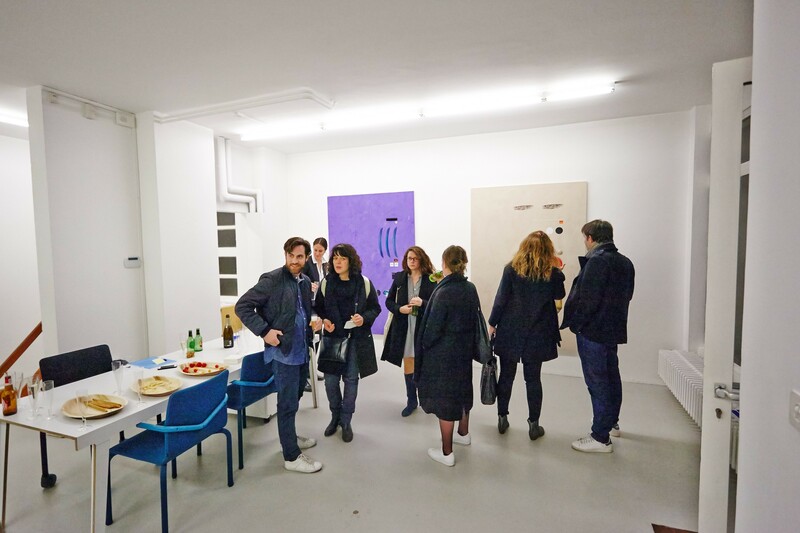 Just off the centrally located Plainpalais and in the vicinity of the MAMCO (Modern art museum) and CAC (Contemporary art centre), a constellation of 12 galleries and additional four cultural institutions have formed an association to promote contemporary art. 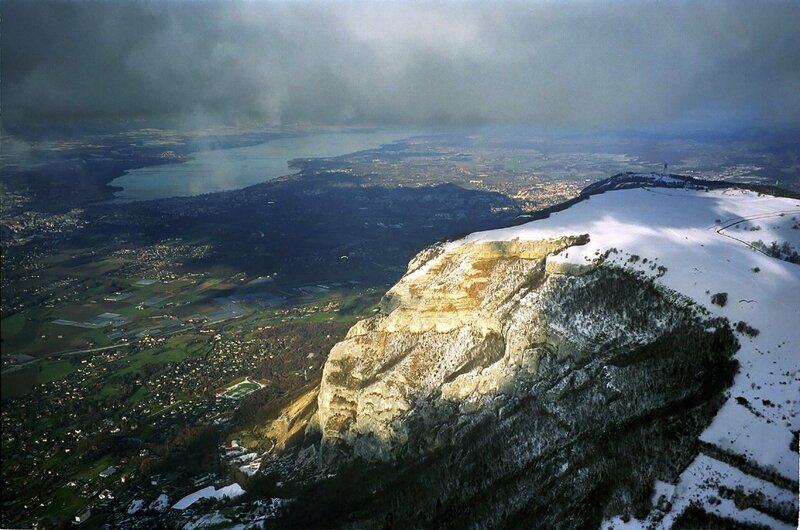 Known as Geneva’s local mountain, the Salève is actually just over the border in France. 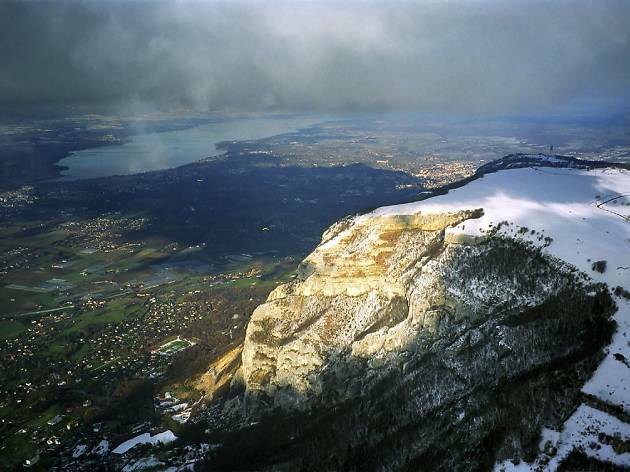 But the Genevois are justified in staking their claim, as this natural haven is just 20 minutes by bus from the city centre. 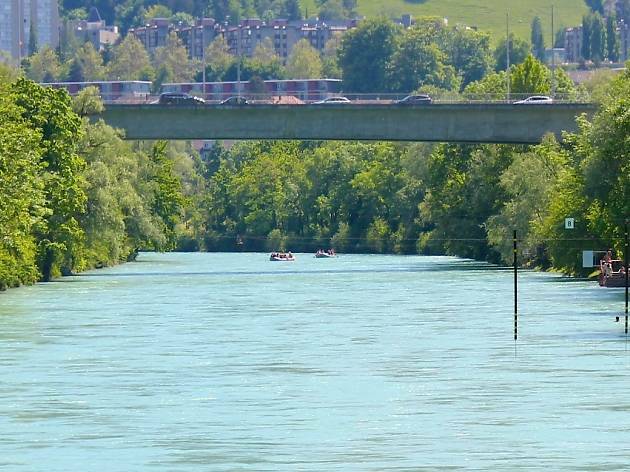 It’s refreshing to slip out of Geneva’s money-focused commercial centre and head so easily into nature. 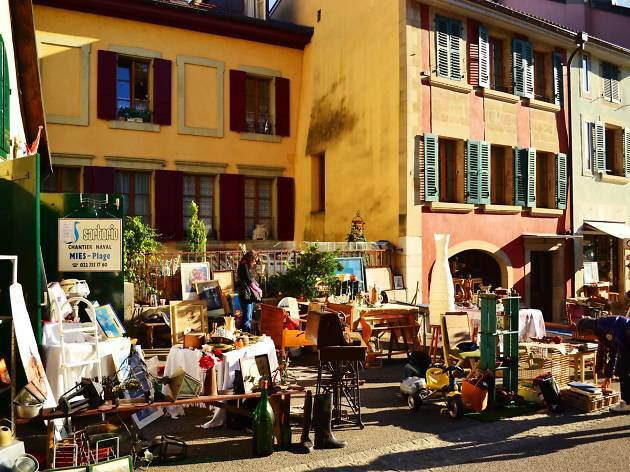 On the last Sunday of every month the Lake Geneva area’s best and most picturesque flea market hits Nyon. 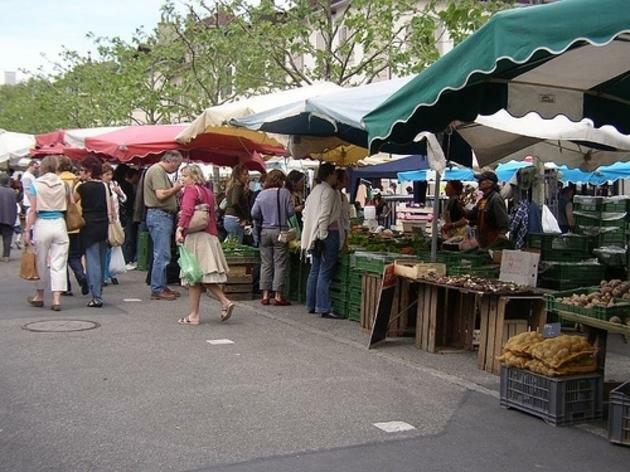 Over a kilometre of stalls line the lake front and surrounding narrow winding streets. 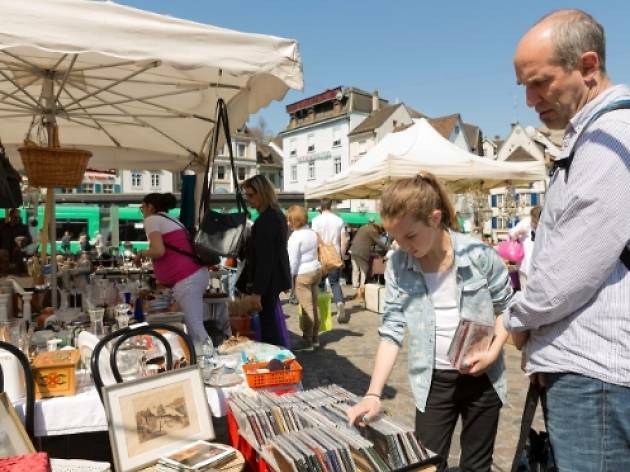 The price of exhibiting is low so there’s always a good range on offer, from second hand toys, clothes and trinkets to upmarket trendy metal furniture, vintage scarf collections and retro design stands. 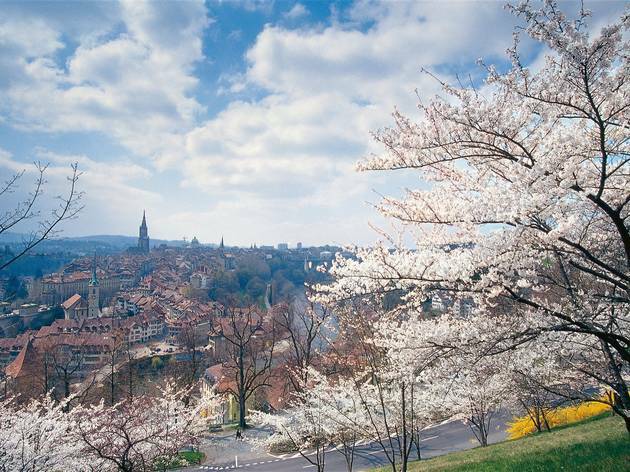 Everyone in the area goes down for a wander, a sausage and beer in the summer and some vin chaud and roast chestnuts in the winter. 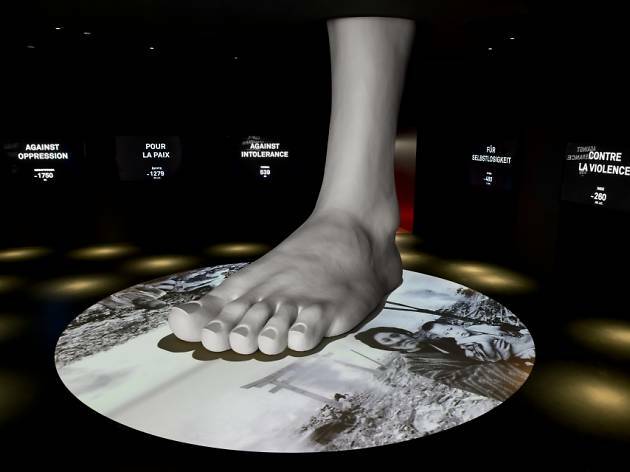 It’s a fascinating and rather humbling experience to visit this museum, which documents the work of the Red Cross from the humanitarian vision outlined by founder Henry Dunant in 1863, through its work during so many conflicts and natural disasters since then. 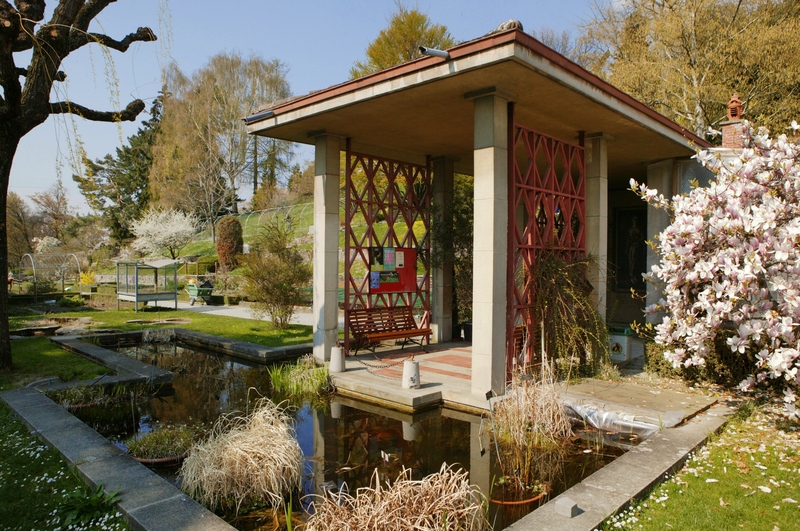 This leafy idyll in the heart of Geneva sits just below the Old Town in the university district. As such it’s a favourite hangout of students who lounge about on the grass in summer instead of studying in the nearby library. 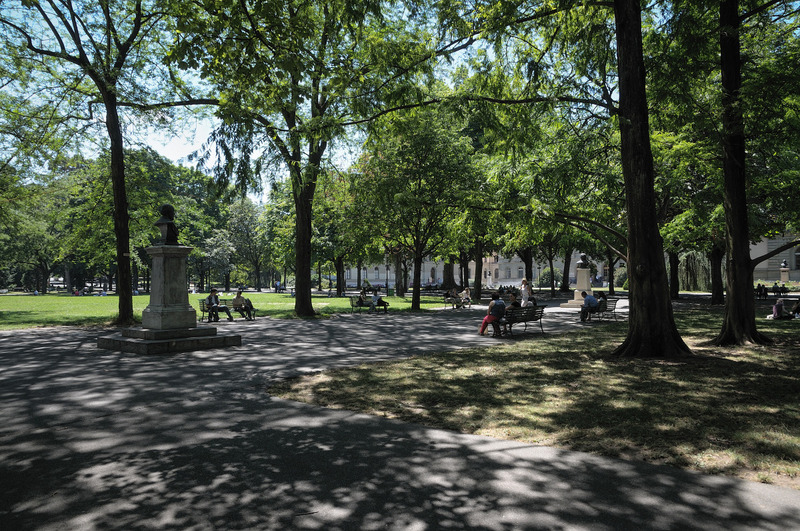 Within the park is the Reformation Wall, a huge stone carving depicting the forefathers of the Reformation movement, including John Calvin, credited with founding protestant Geneva as we know it today. 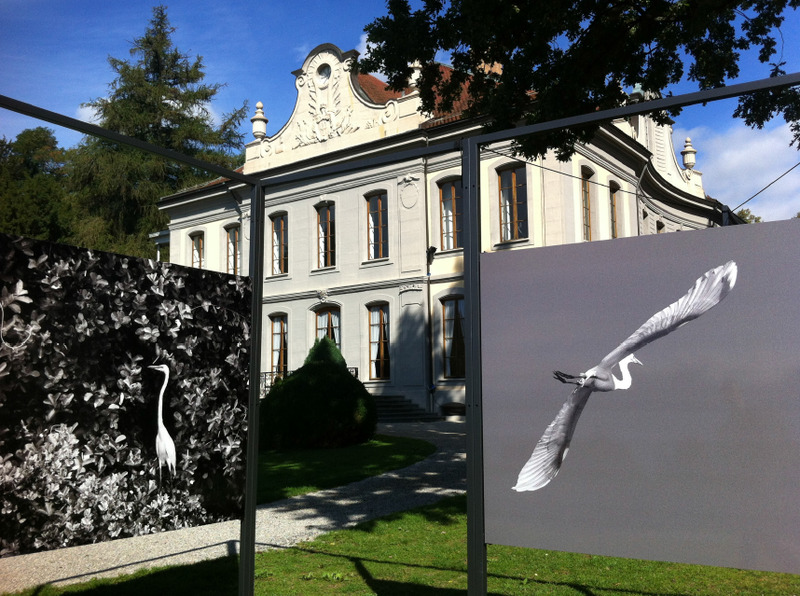 There’s never a bad time to hang out in Carouge, Geneva’s Italianate district created by a bunch of architects from Turin in the 18th century as an independent town. Its shuttered townhouses are attractive, it’s packed with great restaurants and nightlife and the area’s numerous independent shops and artisanal workshops mean the shopping is way more interesting than in the centre of town. 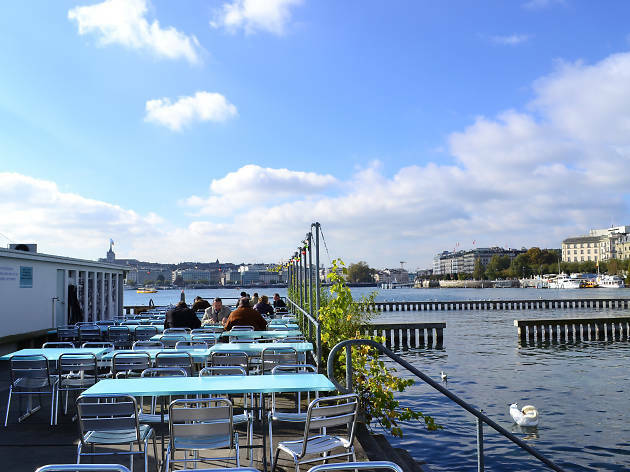 This café-restaurant is part of Geneva’s Bains des Paquis, a 1930s-era public swimming baths and spa on Lake Geneva’s right bank. 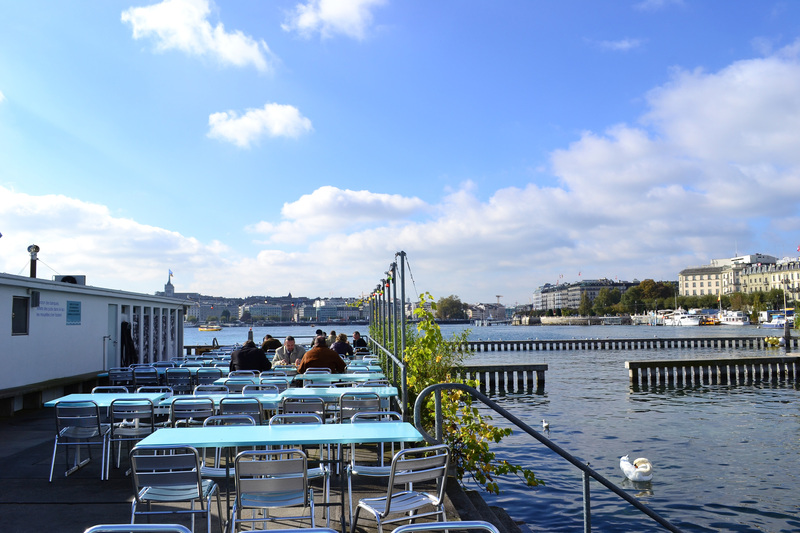 As such, it’s a great place to hang out in the sun right next to the lake, whether for coffee, drinks or a light bite. 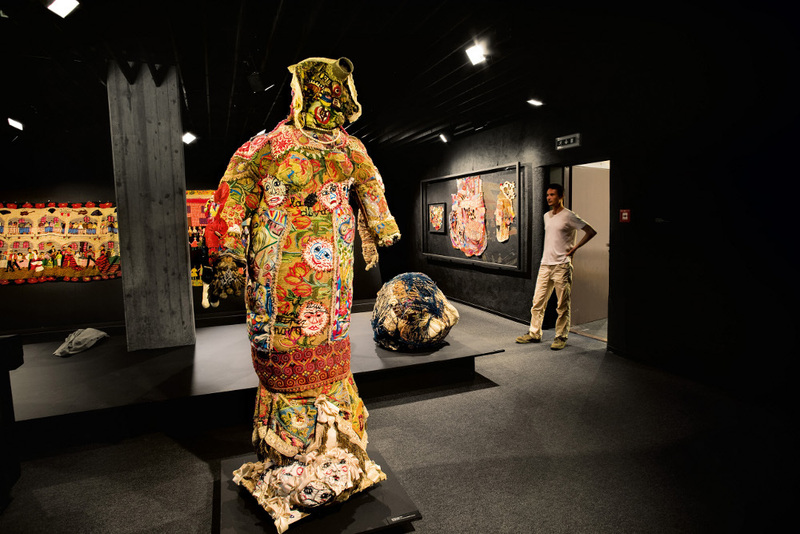 Off the tourist trail, this fascinating museum is a must-see for those seeking an alternative to the mainstream, exactly what ‘art brut’ – literally ‘raw art’ – is all about. 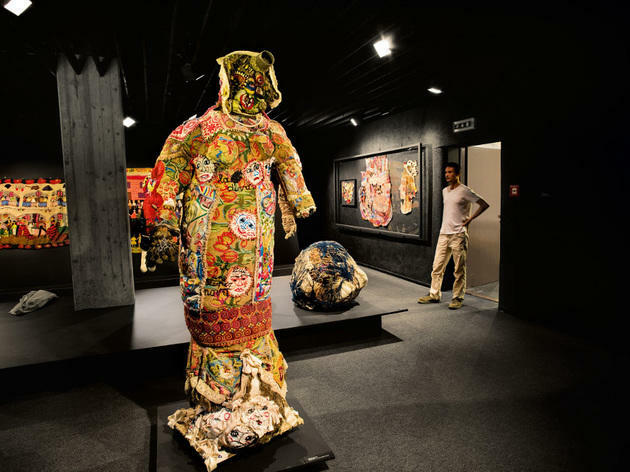 Since 1976 this museum has presented the collection of Jean Dubuffet, who sought to gather art from all over the world created by untrained artists on the fringes of society. Worth a visit on a rainy day is this small museum housed in the former bishop’s palace next to the cathedral. 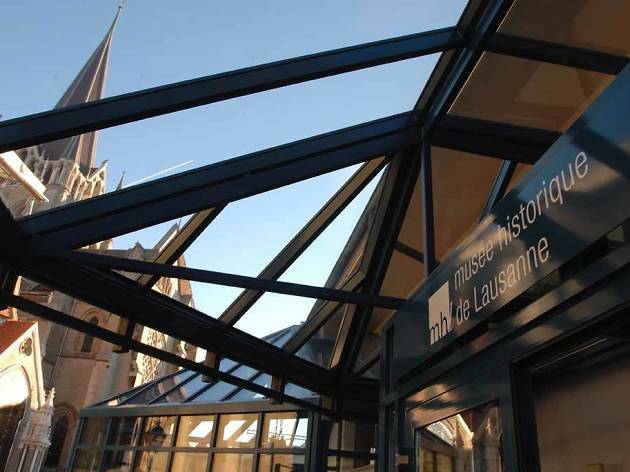 Its detailed exhibits chart Lausanne’s rich history from its origins in Roman times, through its importance as a trade route during the Middle Ages, its political and social history – particularly in the 17th century – and the huge physical changes it underwent over the centuries to make its hilly landscape more accommodating. 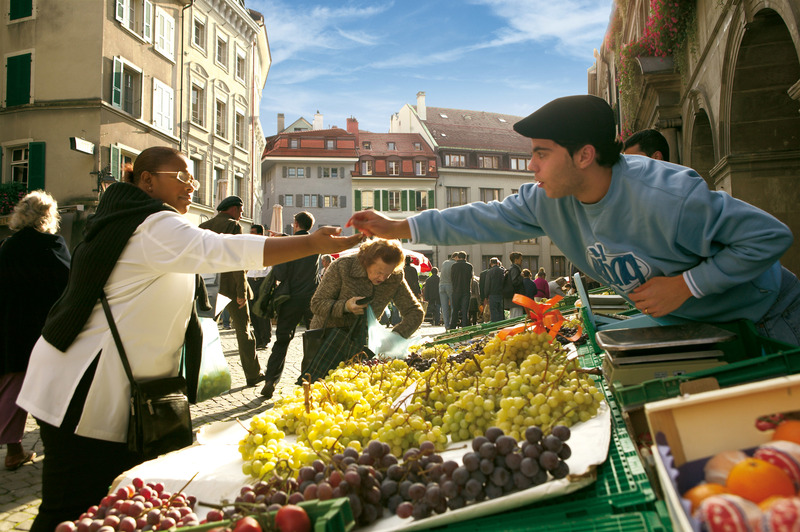 On Wednesdays and Saturdays Lausanne’s pedestrian streets take on a pleasing bustle with the arrival of the market. Multiple fruit and veg stalls set up shop on Rue de Bourg and the central Place de la Palud, or head up to Place de la Riponne for cheeses, charcuterie, bread and an ever-expanding flea market selling paperbacks, CDs, bric-a-brac and second-hand furniture. 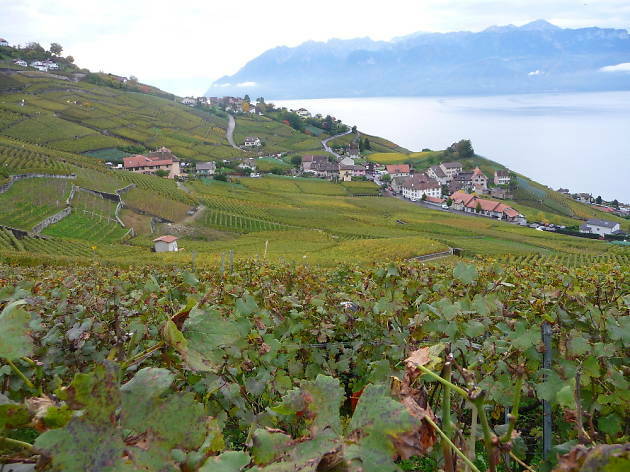 You’d be forgiven for not realising that Switzerland is a wine-producing country, as only one percent of the one million hectolitres it produces each year actually makes it to foreign markets. But take a bus a short ride from Lausanne into the Lavaux vineyards and you’ll quickly see how dominant vines are in this part of the country. 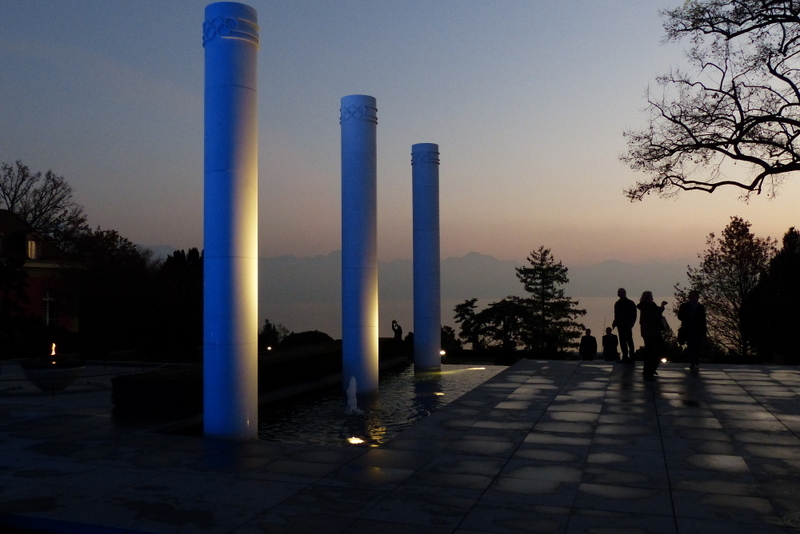 As anyone who has arrived into the main train station knows, Lausanne is rather chuffed with its self-proclaimed status as ‘Olympic city’, due to the presence of the International Olympic Committee’s headquarters down by the lake in Vidy. 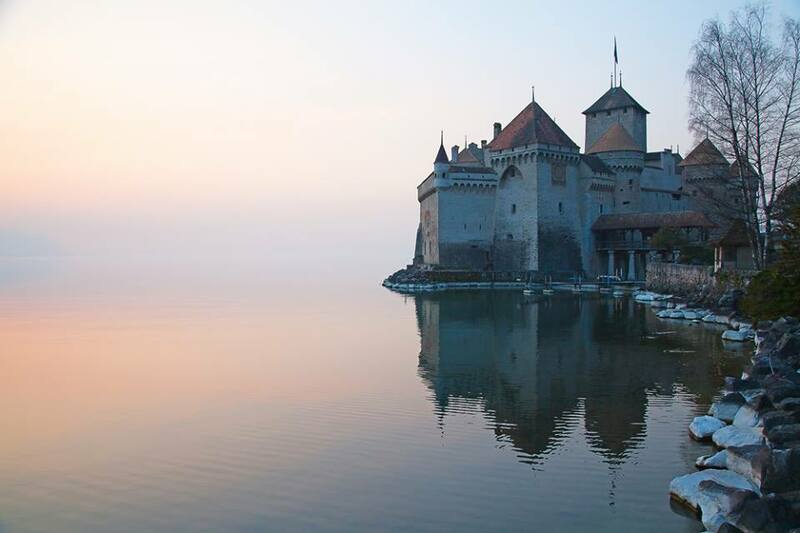 A museum dedicated to the movement was created in Ouchy in 1993 and was renovated in 2013 to the tune of £36 million. As you’d hope for that amount of money, it’s now well-worth a visit. 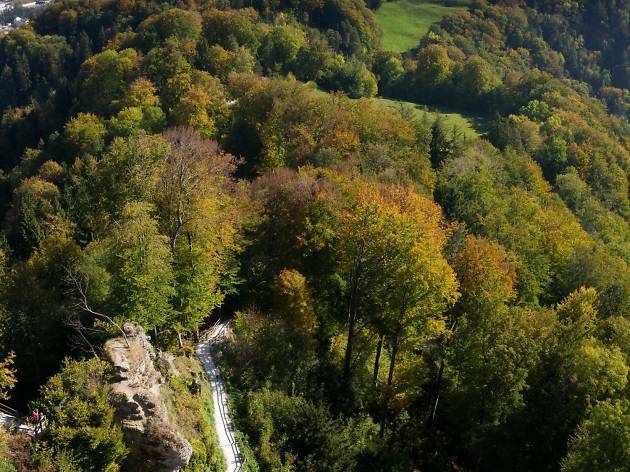 At the top of Lausanne’s broad sweep from hilltop to lakeside, this forest is a pretty spot for a Sunday stroll or cycle along the leafy trails. 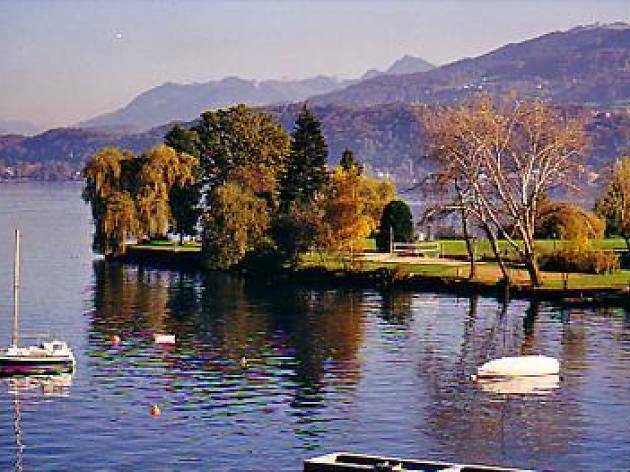 The focal point is the lake and petting zoo – ideal for kids – and its chalet restaurant which serves Swiss classics such as fondue. In winter if the lake freezes solid enough, people go skating here. For the best view in town, head up the helter-skelter staircase of the Sauvabelin tower, which looks out over the town, lake and mountains. Visit in autumn and the turning leaves can be spectacular. A peaceful spot for a stroll, the city’s botanical gardens sit on the Montriond ridge, once a glacial moraine and now a grassy knoll sporting far-reaching views of the lake and mountains. 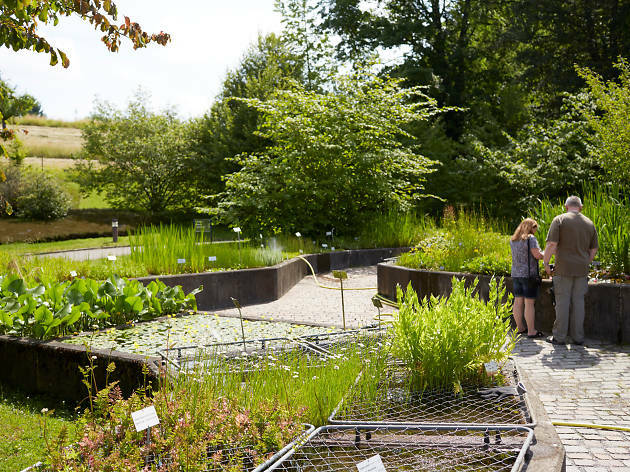 The gardens themselves house 6,000 plants spread over terraces and in hothouses, and there's a small museum with a programme of regularly changing exhibitions. Once you’ve explored, head to the top of the hill and you’ll easily find a spot of grass to yourself from where to gaze at the mountains and contemplate life. In an august 18th-century villa rising from immaculately tended gardens overlooking Lake Geneva, 100,000-plus original photographs make up the extraordinary collection of the Musée de l’Elysée. 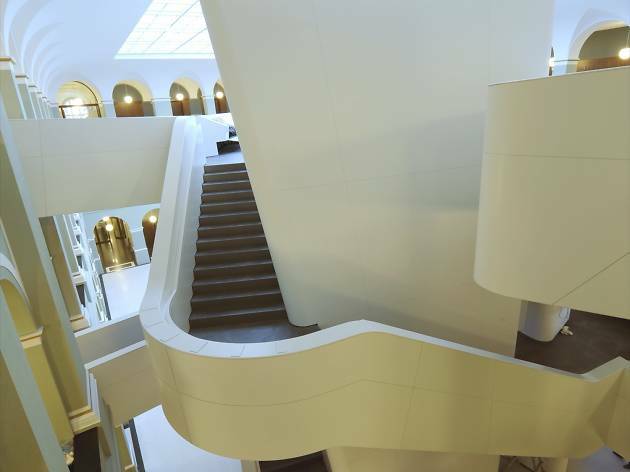 One of the first museums in Europe purely dedicated to the photographer’s art, it first made a name for itself with exhibitions of 20th-century masters such as Cartier-Bresson, Irving Penn and Ella Maillart as well as earlier work that showed the art form’s first steps. 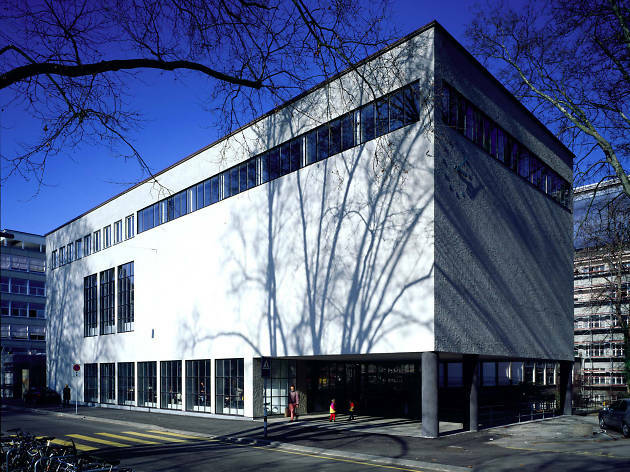 Housed in a white medieval building that overlooks Lausanne, the labyrinthine rooms of mudac showcase exhibitions that are invariably daring and often a little provocative. mudac’s credo is to keep a finger on the pulse of creativity in design, however extreme. 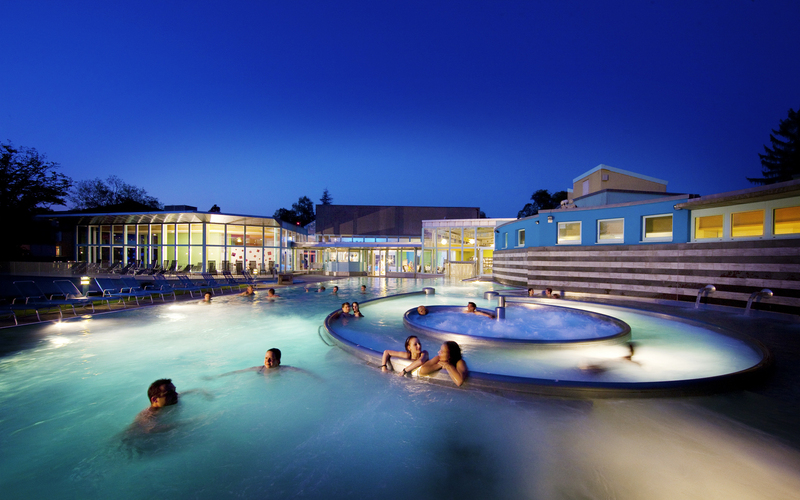 Less than half an hour from Bern, Solbad Schönbühl boasts the largest natural brine spa in Switzerland. 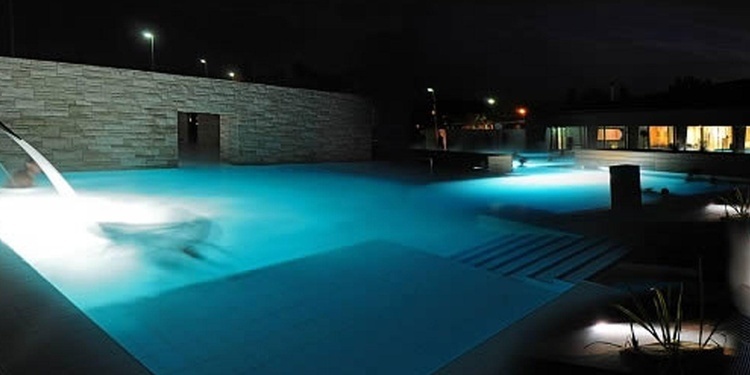 A plethora of water in all its many forms awaits vistitors in need of a pick-me-up: temperatures in the salt pools go as high as 35℃, while the accompanying sauna world offers a traditional Finnish sauna, a bio-sauna and a large herbal steam bath. Located in Rheinfelden just a short distance from Basel, the Sole Uno Wellness World offers an array of ways to relax. 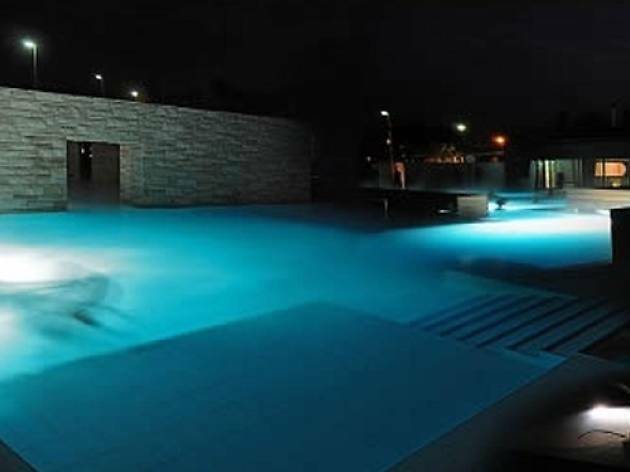 This large wellness facility includes: three types of saltwater pool; a fire and ice pool; themed showers; and saunas and hammams, all ensuring you can try relaxing steam or an invigorating shock to the system depending what you think your heart can take. 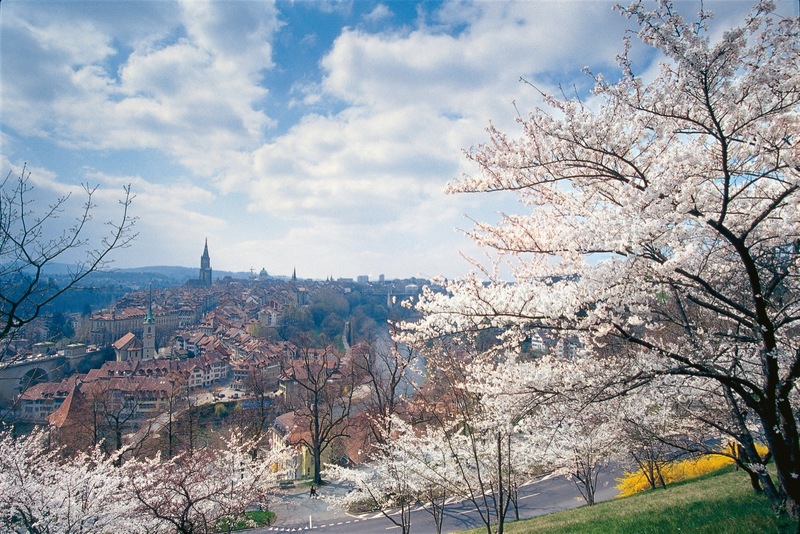 Bern’s Rose Gardens date from 1765 and as you might expect, this public park is a pleasant spot to while away a sunny day. 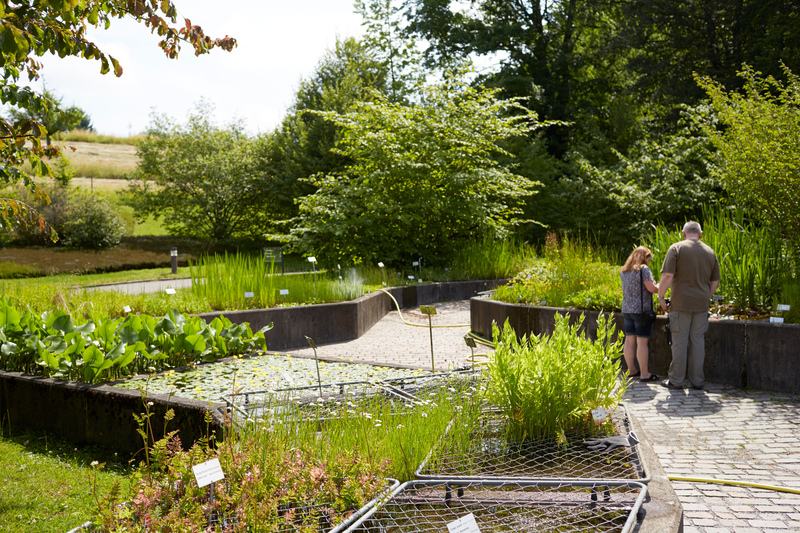 You can sunbathe on the grass or stroll around appreciating the 220 varieties of roses in their immaculate beds. 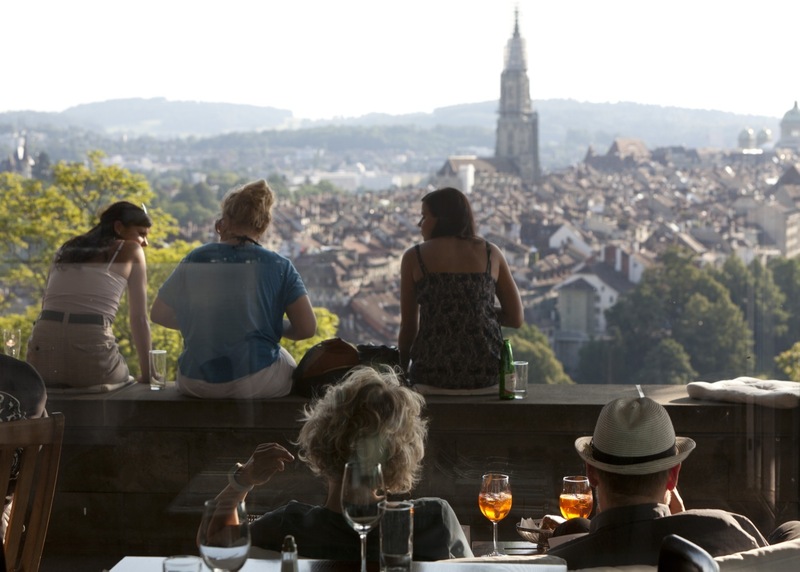 And, as a bonus, there are few places in Bern that offer such a beautifulviews of the River Aare and the Old Town. It’s testament to the strength of Zentrum Paul Klee’s collection of works by Bern’s favourite artistic son (near enough anyway – the prolific 20th-century painter, teacher, musician and poet was technically from Münchenbuchsee, nine kilometres up the road), that it’s not totally upstaged by Renzo Piano’s inspired building-landform hybrid. 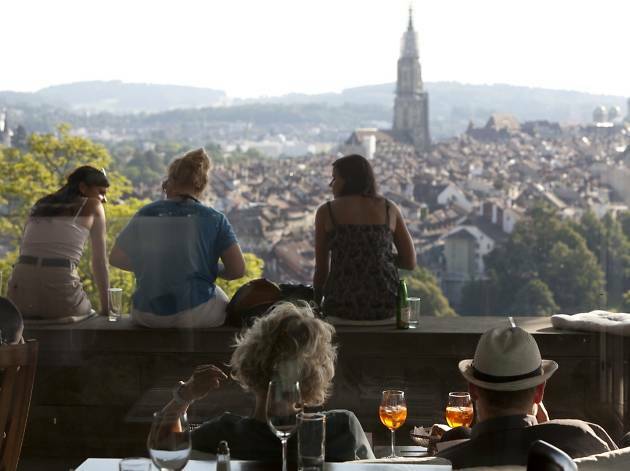 This laid-back eaterie has a lovely location adjacent to Bern’s celebrated Rose Gardens, and it’s no surprise that the outdoor terrace is the principal attraction for having lunch here. The lunch and dinner menus are dominated by Mediterranean creations and a selection of traditional dishes that might be a bit heavy in the summer heat. 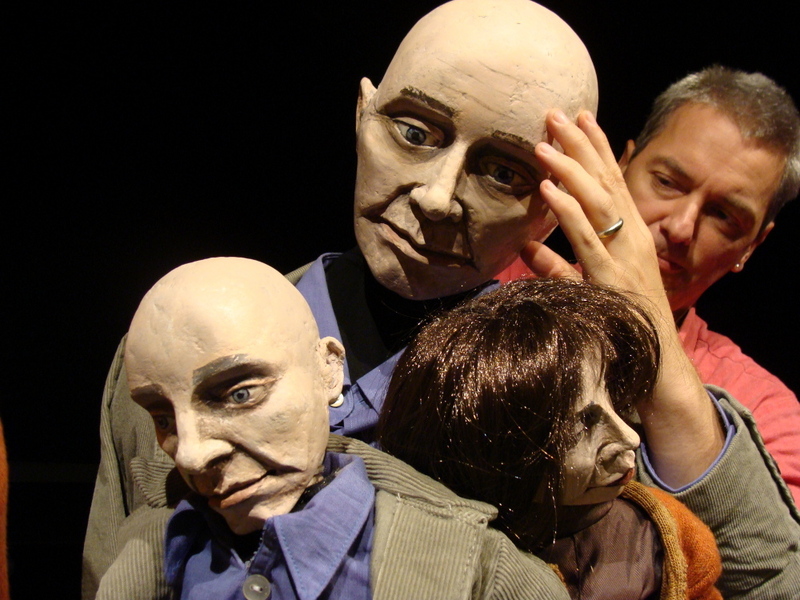 Billed as a ‘theatre for young and old’, Basel’s well-known puppet theatre is exactly that, staging afternoon performances aimed at children and darker tales for adults during the evening. Performance styles vary wildly – if you thought puppetry was just Miss Piggy or Big Bird you’ll be thoroughly surprised by the cast of characters performing here, from life-size puppets to stringed creations and cute hand puppets. 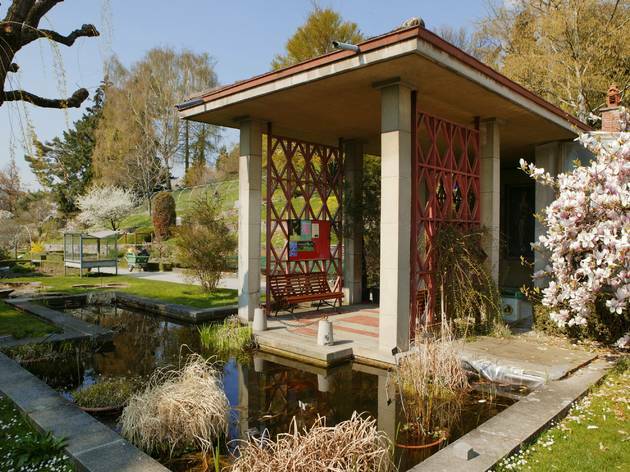 Whether you are local or in town for shopping, a meeting or an event, the Dampfbad in northern Basel’s St. Johann is the perfect retreat. 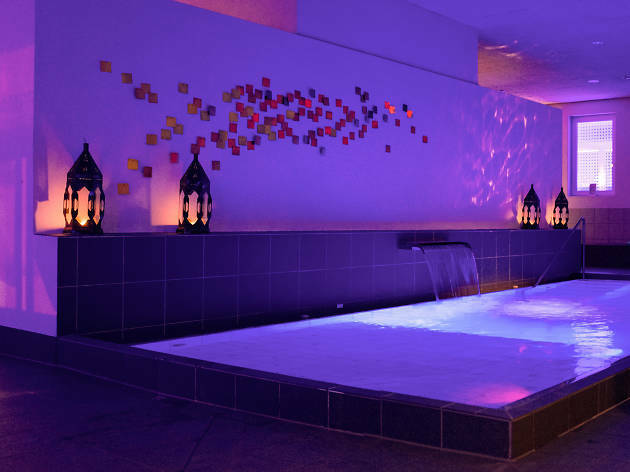 Combining an oriental hammam with two steam rooms and a range of massages, it is an oasis of calm in muted beiges and greys. 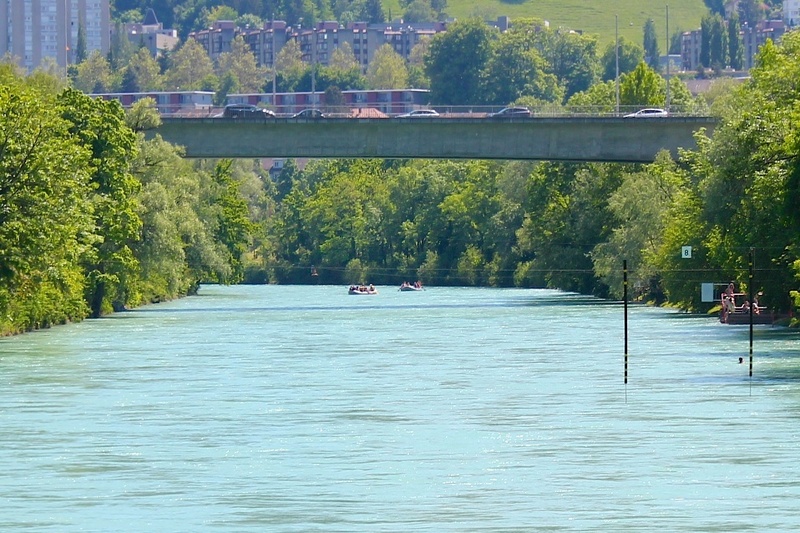 Hire an inflatable raft from one of the boat companies at Thun-Schwabis or bring your own blow-up number, fill it with people, beer and barbecue supplies and hop in for a three-hour drift downriver to Bern. 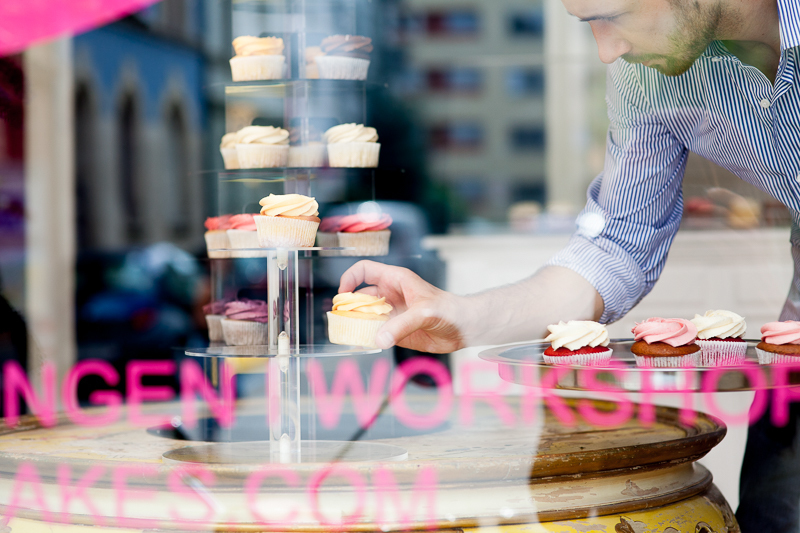 Visit Yumm in the morning and it’s likely your cupcake will have been baked in the last hour. 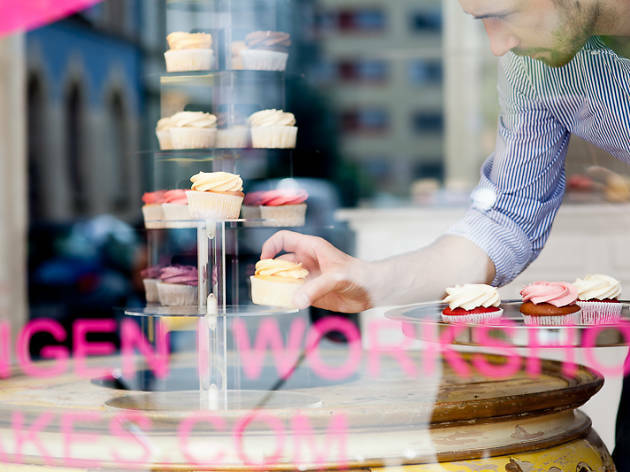 The aroma of fresh baking that infuses the shop in Kleinbasel is irresistible – as is the selection of cupcakes, which range from chocolate and vanilla to mango or white chocolate and raspberry. 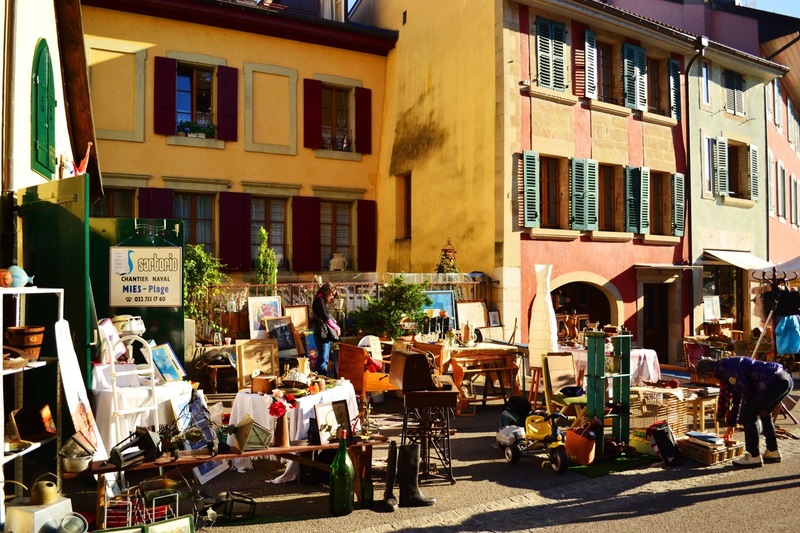 Held on Petersplatz every Saturday, Basel’s popular fleamarket is a great place to rummage for a few choice finds at a bargain price, including vintage handbags, old manual cameras, silverware and china plates, secondhand clothes and children’s toys. Prices are reasonable and the friendly stallholders are happy to answer questions and barter over a sale. 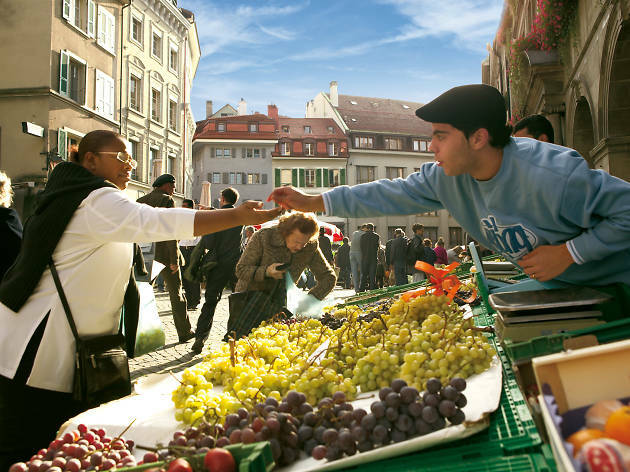 You may even find yourself haggling with a schoolboy, as local children are allowed to sell their toys in the middle of the square. 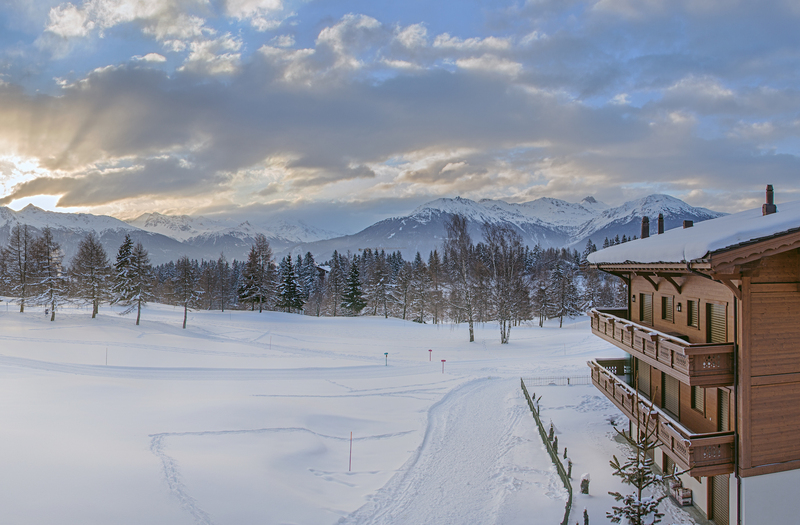 If you’re going to make the most of skiing in Switzerland come winter, a ski-in and ski-out hotel will give you everything you need. 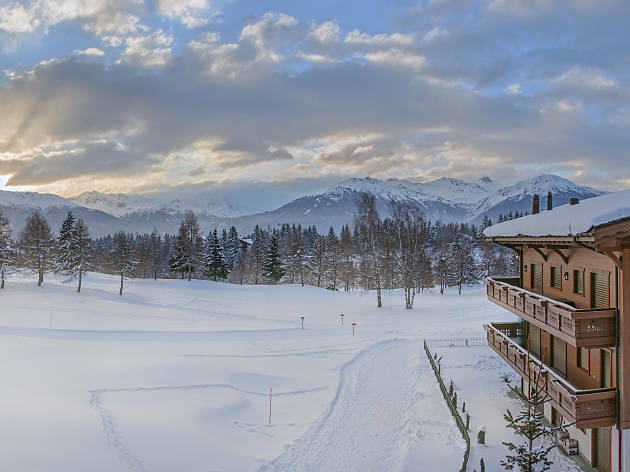 These hotels are the ideal getaway for any skiers wanting super-easy access to the slopes, because they’re located right by those very slopes – metres away, in some cases. This means you can spring out of bed and straight on to the piste. 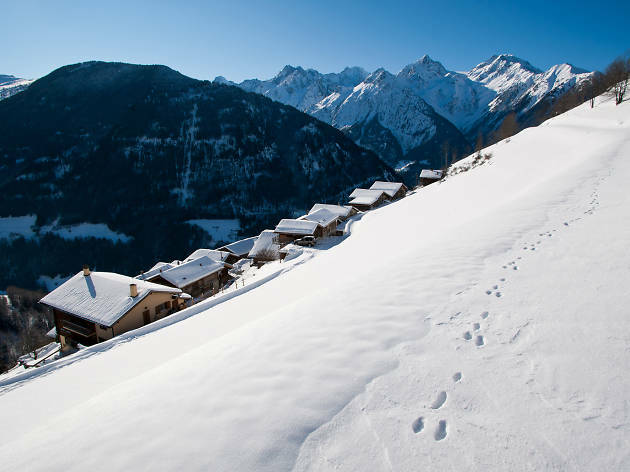 Time Out has chosen some of the very best venues from around the country – in association with Switzerland Tourism – which boast even more than superb slopes by your door. 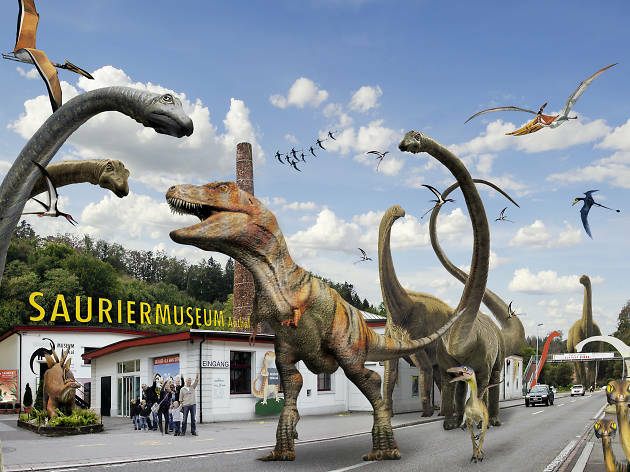 Aathal's Dinosaur Museum (Saurier Museum) is the largest museum of its kind in Switzerland. 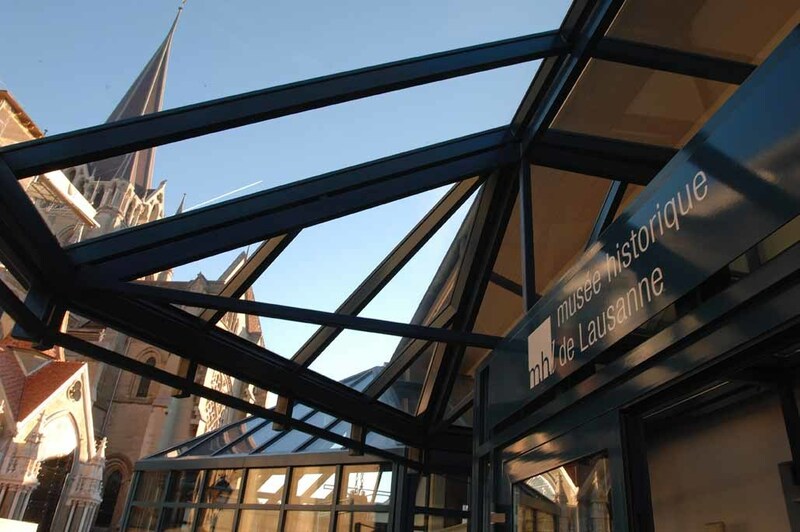 Owned and funded by a Swiss palaeontologist, the museum features fossils and skeletons from its own excavations across the globe, as well as loads of other models and displays. 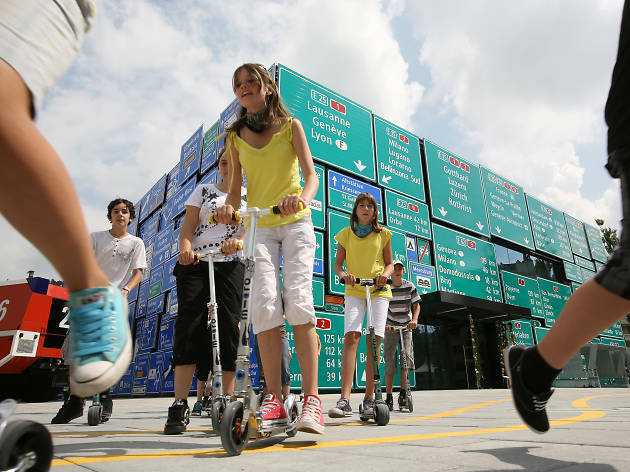 The Swiss Transport Museum is a huge, well-designed and enjoyable visit. 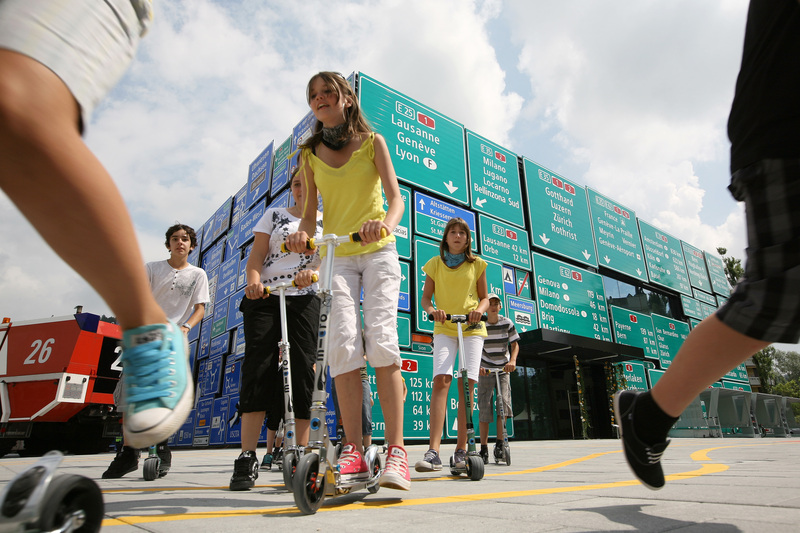 With separate sections for transport by track, road, air, water and space travel, there's loads of interactive displays and exhibits for kids of all ages. 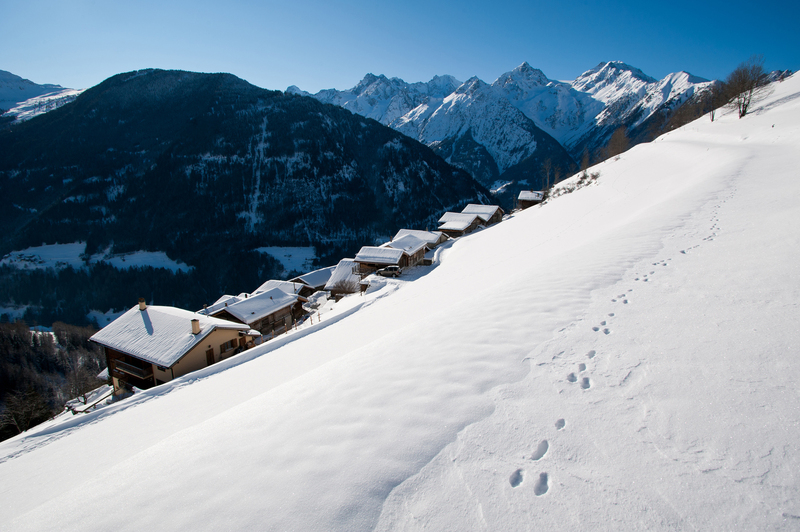 Winter has always been a season to celebrate in Switzerland, thanks to the stunning mountainside accommodation – and winter hideaways are perfect spots to get away from it all and hunker down in. 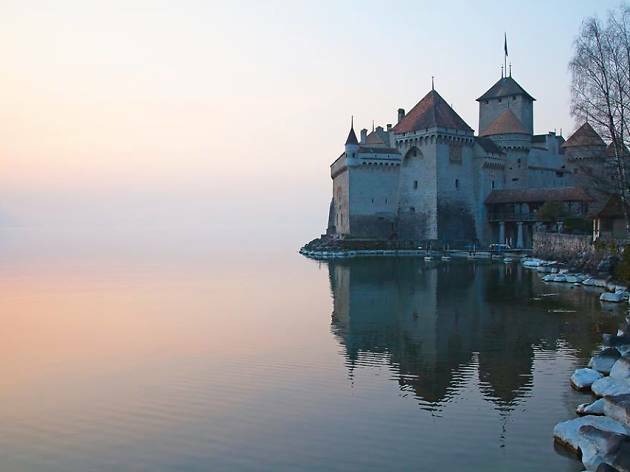 They’re hotels that are ideal for soaking up the magnificent Swiss countryside. But how do you find your ideal hideaway? By reading on, because Time Out has handpicked some of the finest winter hideaways from across the country. 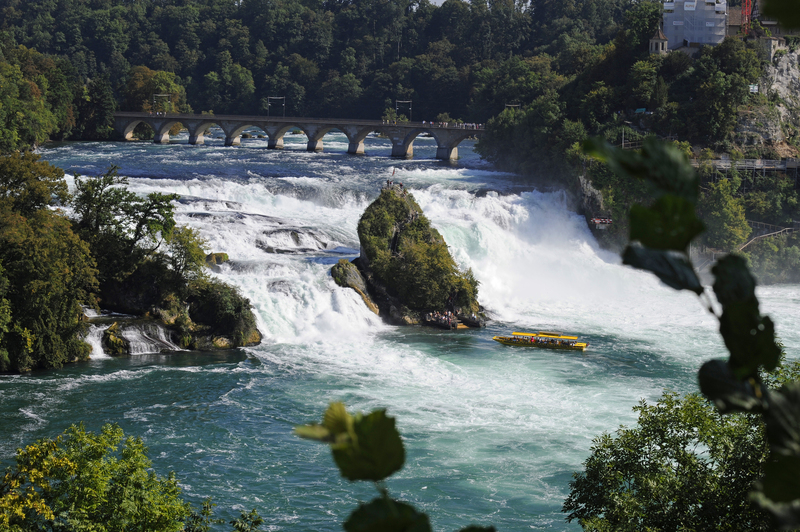 At 150 metres wide and 23 metres high, the Rhine Falls are Europe's largest waterfalls Trips run continuously all day from May to September. 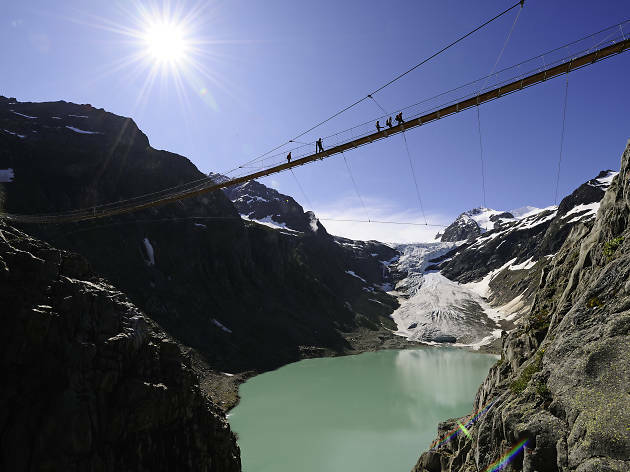 A solution born out of the Switzerland’s changing environment, this 170 meter long pedestrian suspension bridge allows intrepid hikers to complete the Trift mountain route without the Trift Glacier serving as a natural crossing. 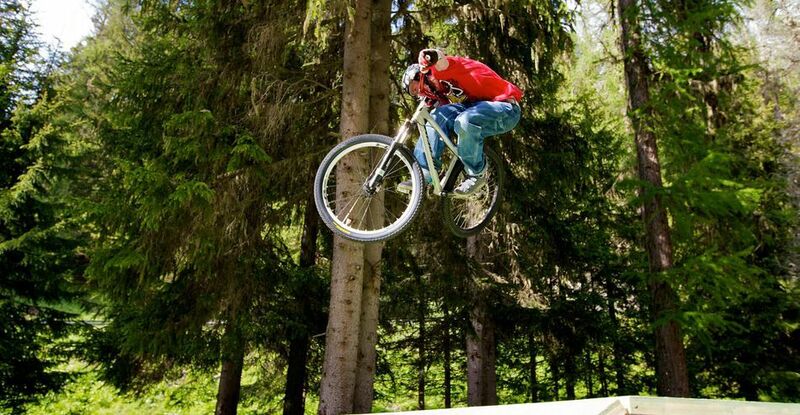 Situated at the foot of the Flüela mountain pass, this high wire and cycle park offers a fun day out for adventurous adults and children alike. Explore one of Switzerland's top historic tourist attractions, which inspired the likes of Lord Byron, Rousseau, Delacroix and Courbet. 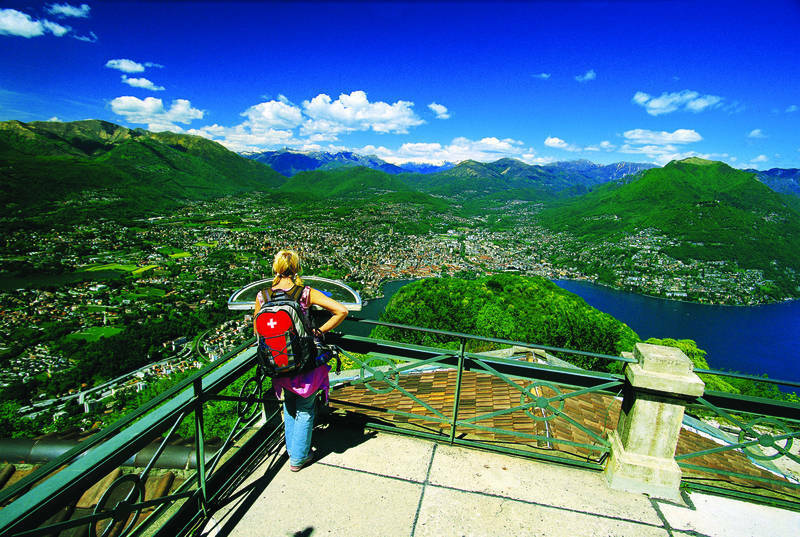 At 912m and popular with climbers, dramatic Monte San Salvatore looms above the city, one side forest, the other sheer rock face. 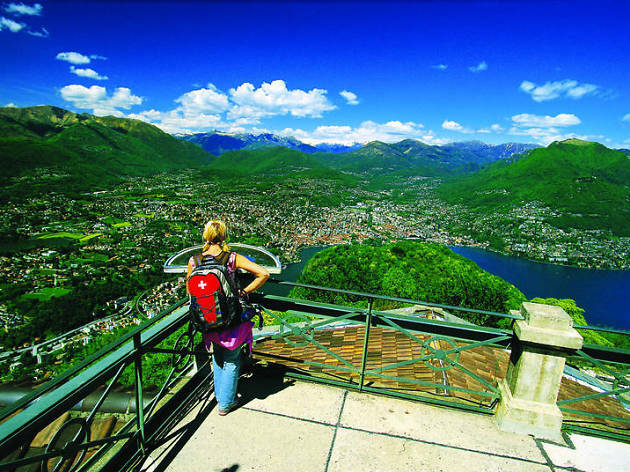 The view from the summit is, you won't be surprised to hear, spectacular. 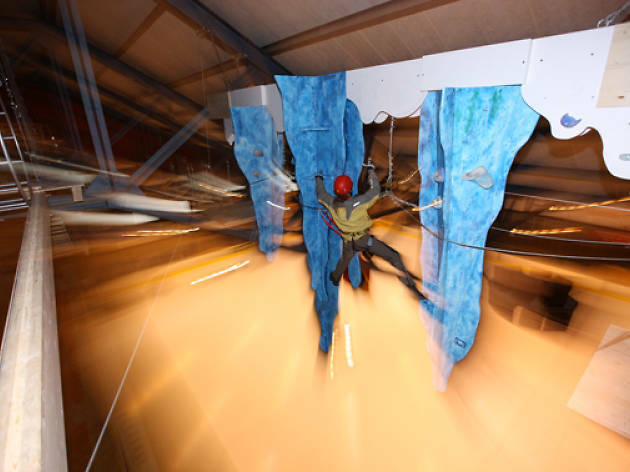 Fancy taking on the challenges of mountain climbing without the risk? 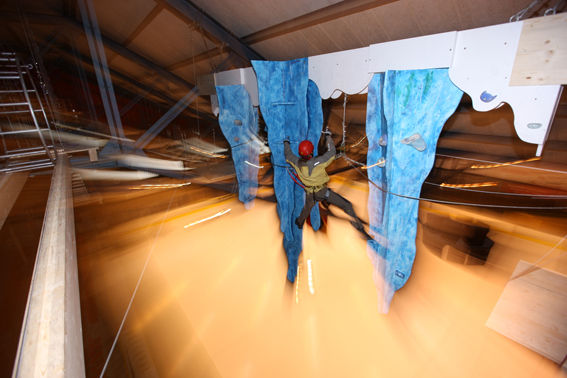 Look no further to Europe’s largest indoor rope adventure park with 5 courses to test your climbing skills on. 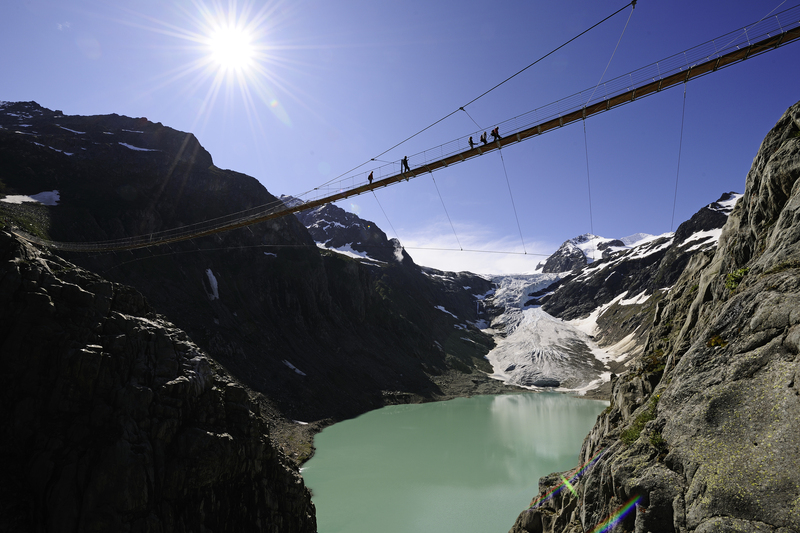 Tackling tricky scenarios like overcoming giant icicles, abseling and the odd zip-lining. 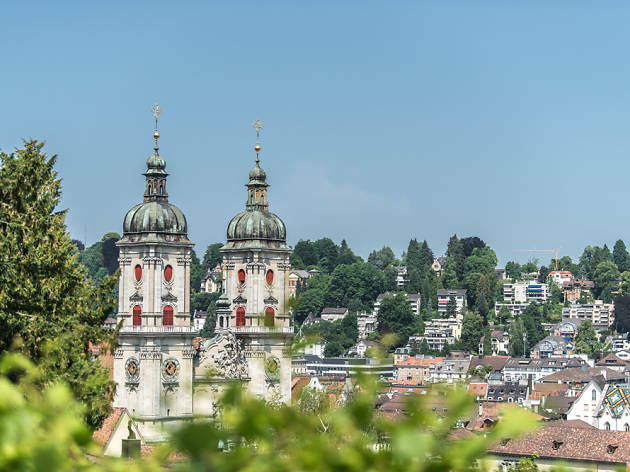 Famed for its Unesco-protected Abbey District and textiles beloved by the biggest names in fashion, the Swiss city has much more to enjoy on a weekend break, from fab hiking trails to a vibrant bar scene. Find out the essential highlights here.